Bethune-Cookman University, a Florida HBCU, reported an operating loss of $17.8 million in its most recent tax return. That's a 12-fold increase over the previous year, when it reported a budget deficit of only $1.5 million. Fitch Ratings downgraded the school's bond rating for the second time in six months. B-CU's bond rating now hovers just above junk status. 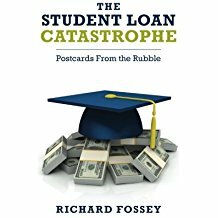 Should B-CU tighten its belt and cut expenses to deal with this crisis? Hell no! According to the Daytona Beach News-Journal, salaries jumped from $41.5 million to $49.2 million in just one year. Salaries at the school jumped nearly $8 million, from $41.5 million to $49.2 million, accounting for a large chunk of the increased expenses. The school's top leadership took away a combined $2.69 million in compensation--an average of $207,000 for each of the 13 [executive] employees. The previous year, its leadership took in $1.4 million, an average of $175,000 for only eight top executives. While his base pay was lowered, [President Edison] Jackson received a raise of $40,000 when additional compensation was factored in, giving him a total salary of nearly $410,000. Fifty employees were paid at least $100,000, up from only eight in the previous year. And there's more. B-CU borrowed $7 million from its endowment funds, about 13 percent of the total. Five million dollars of that amount was to pay--you guessed it--administrative expenses. Meanwhile, its investments suffered a 11 percent loss, even though the stock market was going up. In short, it appears that B-CU's senior administrators are giving themselves raises while the school's budget deficit spirals out of control. 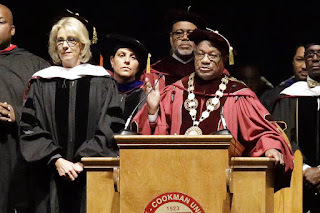 You may remember that Bethune-Cookman made the news recently when many of its students turned their backs on Secretary of Education Betsy DeVos and booed her when she spoke at the university's spring graduation exercise. Isn't it remarkable how college students turn their anger on external parties instead of examining the competence of their own institution's leadership? Most of Bethune-Cookman's students have taken out student loans to finance their studies at a university that apparently does not know how to manage its own financial affairs. B-CU's students booed the wrong person at last spring's graduation exercises. They should have been booing President Edison Jackson. Erica L Green. Bethune-Cookman Graduates Greet Betsy DeVos with Turned Backs. New York Times, May 10, 2017. Scott Jaschick. Large, Growing Losses at Bethune-Cookman. Inside Higher Ed, June 26, 2017. Seth Robbins. Tax documents show B-CU losses mounting to $17.88 million. Daytona Beach News-Journal, June 24, 2017. Valerie Straus. Booing students at Betsy DeVos's commencement speech told to shut up or get diplomas sent in mail. Washington Post, May 10, 2017.